After last season’s turmoil, normal service has now been resumed at Chelsea, with Antonio Conte guiding the Blues to the top of the Premier League table. It has not all been plain sailing however, with the current situation surrounding Diego Costa threatening to unsettle their title challenge. The Spanish international has been training alone amid rumours of a bust-up over his fitness and a potential move to China, but it seems unlikely that Conte would want to lose his star man at this stage of the campaign and the Italian tactician has played his cards close to his chest regarding the ongoing saga. However, should the 28-year-old take the riches on offer and move to the Far East, then Chelsea are lining up a move for Crystal Palace striker Christian Benteke, according to ESPN. Whether Eagles’ chief Sam Allardyce would sanction the deal is open to debate and it may be that this one is more ‘paper talk’ than anything else. The Belgium striker has scored eight goals this term but would he shine at a club the size of Chelsea? The Blues host Hull on Sunday and, of all the bookies tips this weekend, a home win seems inevitable, with or without Costa in the side. There are plenty of other rumours surrounding the Stamford Bridge club, with Atletico Madrid winger Yannick Carrasco the latest player linked. The 23-year-old Belgium international winger has been turning heads with his displays in the Spanish capital and it seems as though a number of Europe’s top clubs have taken note. Both Chelsea and Manchester United are rumoured to be keen, with the former Monaco man firing in 10 goals and providing three assists in his 25 outings this term. He has an £86m release clause in his current contract but, with Bayern Munich, Juventus and Manchester City also linked, that would not be problem, according to his agent. Meanwhile the Blues are likely to face a battle to keep hold of goalkeeper Thibault Courtois in the summer, with Real Madrid said to be interested. Conte would be reluctant to see the Belgium international leave but Courtois’ wife and child live in Madrid and he spends most of the spare time he gets in the city. Another keeper who might be on his way is Asmir Begovic, according to The Mirror. Chelsea have slapped a £12m price tag on the Bosnia and Herzegovina custodian whose game time has been restricted to domestic cup competitions. West Ham United and his former side Stoke City are also thought to be among the clubs interested and the Cherries have had a £10m bid rejected already. 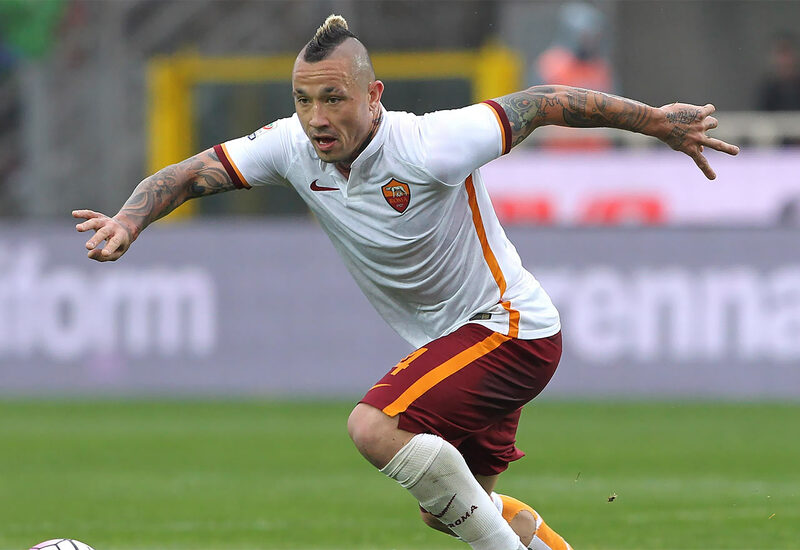 With Belgian players seemingly everywhere at the moment, another one whose name crops up in most windows is Roma’s Radja Nainggolan. The 28-year-old midfielder has been with Roma since 2014 but, according to reports in Italy, Chelsea might rekindle their interests in the player, having first been linked last summer. The Eternal City outfit are prepared to offer the Antwerp-born star a new deal to keep him in the capital but Chelsea’s financial muscle might prove too great in the end. Next articleWhat is the future for Diego Costa?